He is often called an American heir of Edward Lear and Lewis Carrol. He is considered a greatest combiner of common sense and uncommon nonsense. He is a crazy storyteller and a satirist, a clown and a philosopher. Ogden Nash (1902—1971) was born in Rye, New York. After school he studied at Harvard, but left it at the end of his freshman year. He first tried teaching at school. Then he worked as a bond salesman on Wall Street and sold only one bond— to his godmother. Then he worked at the advertising department of a publishing house. In 1931 he joined the editorial staff of the New Yorker. The same year his first collection of verses was published. The success of the book was immediate and since then Ogden Nash devoted his entire time to writing. Nash created his own style. He is the master of surprising words which don’t seem to rhyme and yet they do, words which do not exist in the English language, still everybody easily recognises and understands them. His mad, sad, funny and brilliant verses are popular with children and with grown-ups. 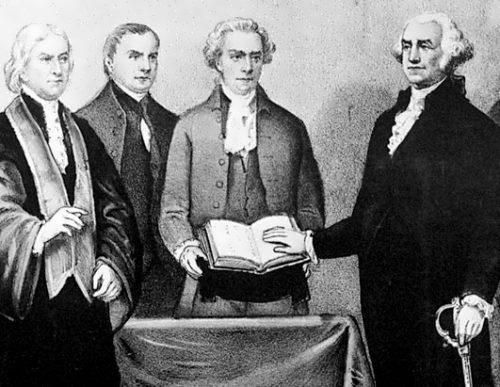 There have been 44 presidents in the United States. 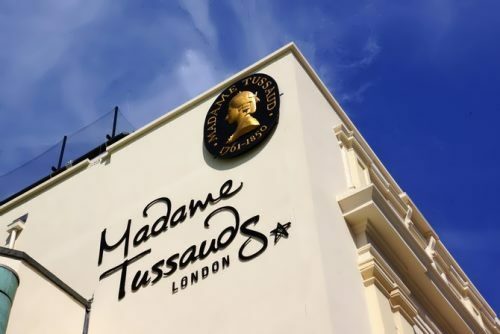 Madam Tussaud’s is the most popular waxworks museum in the world. There are wax models of the famous and infamous, both living and dead. You can meet great characters of history and art. There are actors, film stars, pop-singers, criminals, politicians and members of the Royal family here. There is a place where you can see all the celebrities at once. The museum is situated in Marylebone Road, not far from the street which is famous as the home of the first great detective in fiction, Conan Doyle’s Sherlock Holmes. There are several halls at Madam Tussaud’s: the Grand Hall, the Chamber of Horrors and The Spirit of London exhibition. The wax figures are extremely realistic. When they look at you their eyes are sparkling and you feel uncomfortable. Computer-controlled figures (audioanimatronics) are especially popular with the visitors. Their speech and sound are recordered onto CDs and synchronized with the movements. In the Grand Hall you will find all kinds of celebrities and there is a special place for the Royal family. Most people agree to be portrayed, but some refuse. Mother Teresa was one of the few who declined, saying her work was important, not her person. 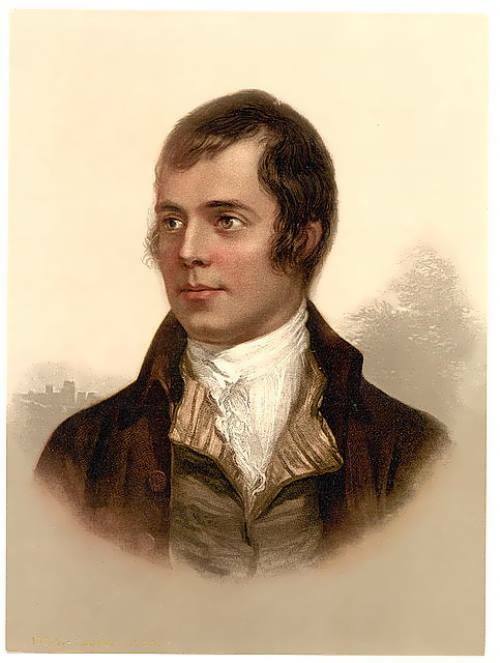 Robert Burns (1759-1796) is regarded as Scotland’s national poet. Burns was born in a poor farming family. There were seven children in it. Robert was the eldest. He read a lot. Robert was fond of reading. His favourite writer was Shakespeare. At the age of 15 he began to write poems. 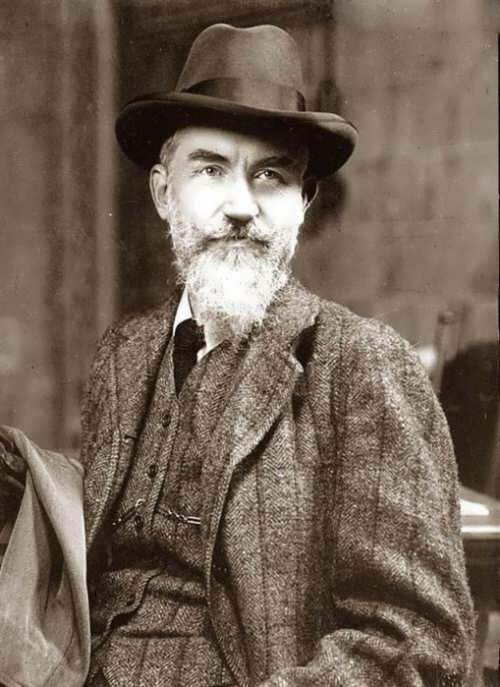 He wrote hundreds of songs and poems, mainly on country life, love, and national pride. Burns wrote the words of the song “Auld Lang Syne”. Scottish people sing this song when they celebrate the 1st of January, New Year’s Day. Robert died in 1796. People all over the world know and love his poems. His birthday is celebrated in many countries of the world each year on 25 January. He who can, does; he who cannot, teaches. — Тот, кто может, делает; тот, кто не может, учит. We learn from experience that men never learn anything from experience. — Мы узнаем из опыта, что человек никогда ничему не учится из опыта. Never take advice. Do everything you were told not to do, to break away from the tyranny of the past. — Никогда не принимайте советы. Делайте все, что вам сказали не делать, чтобы оторваться от тирании прошлого. If you begin by sacrificing yourself to those you love, you will end by hating those to whom you have sacrificed yourself. Self sacrifice is suicide. — Если вы начнете жертвовать собой ради тех, кого вы любите, вы закончите тем, что будете ненавидеть тех, ради кого пожертвовали собой. Самопожертвование – это самоубийство. The Titanic was the biggest ship the world had ever seen. People said it was the fastest ship too. But on its very first trip the Titanic sank to the bottom of the sea! How did this terrible thing happen? And where is the wreck of the great ship now? It’s spring of 1912. The whole world is talking about “The Wonder Ship” built by the British. 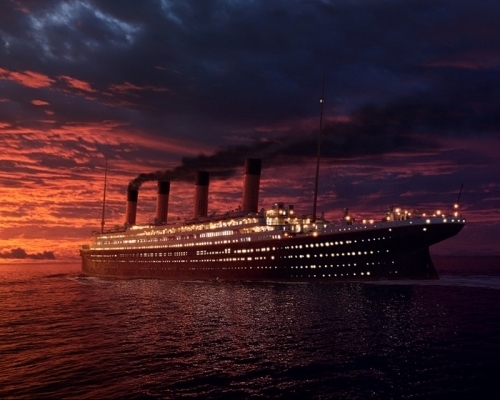 The name of the ship is the ‘Titanic’, She is the biggest ship the world has ever seen. She is as tall as an eleven-story building and is almost four city blocks long! In April the ship is getting ready to leave on its maiden trip across the ocean. She is going all the way from England to America. It was August, 1925. Sculptor Gutzon Borglum was riding on horseback into the untamed Black Hills of South Dakota. Suddenly he stopped. In front of him was a beautiful rock towering over the hot wild land. It was Mount Rushmore. Borglum stood there for some time, deep in thought. If ever an artist had a chance to leave a memorial that would last for centuries, this would be his raw material. Today, millions of visitors come to see the Mount Rushmore National memorial. 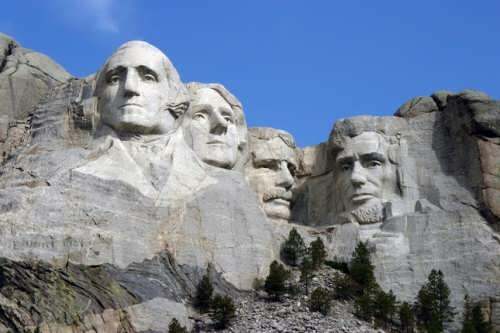 They stand in awe, looking at the great faces of four American presidents — George Washington, Thomas Jefferson, Abraham Lincoln, and Theodore Roosewelt. These faces are the largest carved figures in the world. They are twice as tall as the Great Sphinx in Egypt. 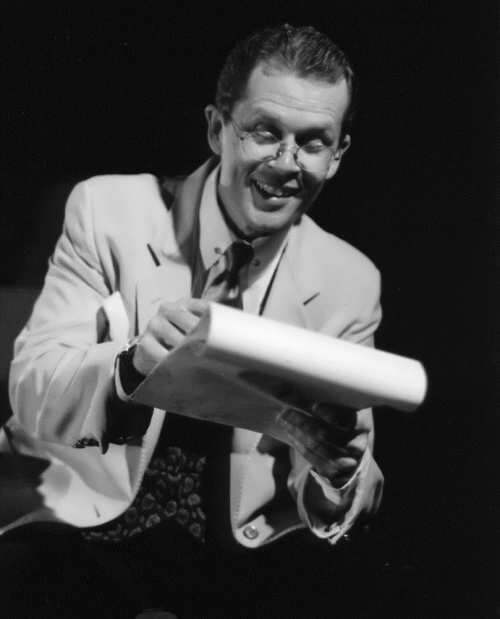 Borglum began his tremendous work in 1927. It was difficult and dangerous. The only way to get up the mountain was on foot or on horseback. And Borglum and his helpers had to make the trip hundreds of times just to bring up the necessary equipment.